To purchase and refurbish a 19th century mill as a community hub for creative and artistic activities. Viva Arts has a range of cultural activities that improve social cohesion, tackling isolation amongst the elderly and young people who are less socially mobile. There is a high interest for arts and heritage in the area that Viva Arts responds to by creating additional employment, improving wellbeing and offering social and skill based activities. Viva Arts was started by local people for local people, and volunteers aged from 11 to 80 do everything from stewarding to production to put on shows. The board of trustees are all local. 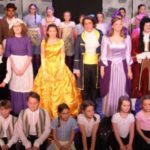 Situated in the rural town of Soham in Cambridgeshire, community arts and theatre Viva Arts started off in 1997 as a youth theatre centre run by a small team of volunteers. Since then Viva Arts has showcased many stage productions to audiences of up to 400. With growing enthusiasm of the arts and heritage from the local community, the centre’s team began to grow, taking in a more diverse cohort of volunteers made up of people of all ages, abilities and backgrounds. One of the only cultural hubs within a 20-mile radius of the town, Viva Arts provides access to the arts to combat social exclusion and anti-social behaviour, improve the quality of life of local people and increase and encourage community cohesion and volunteering. Through the activities learnt at the centre, locals have enhanced their social skills and increased their education through community projects. The only issue that had an impact on Viva Arts’ survival was not owning a space to guarantee their community support. 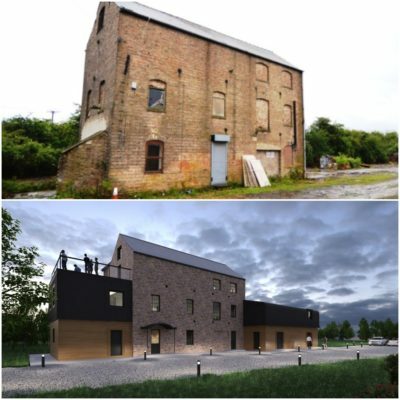 So Power to Change awarded Viva Arts a £220,000 grant through the Community Business Fund to purchase and refurbish a 19th century mill to secure a place where they can continue to provide the community with arts and culture activities to help the local area thrive. The building before and CGI of how it will look after the renovation. The concept is to make Soham more of a ‘destination town’. 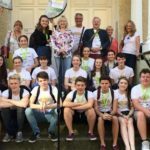 It is expected to create additional employment, improve wellbeing, reduce isolation of target groups and levels of anti-social behaviour by offering more positive activities for young people and improve the quality of life in the town. 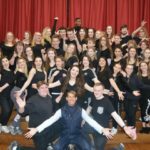 Viva Arts now stages two major productions a year and brings in an audience of up to 1000 people and have taken shows to Edinburgh Fringe Festival. 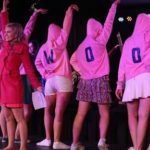 In 2013 they had a huge success of winning ‘Best musical’ and ‘Best overall production’ in the annual National Operatic and Dramatic Association awards.